UCLA coach Jim Mora fears that his starting quarterback could be heading down a bad path. 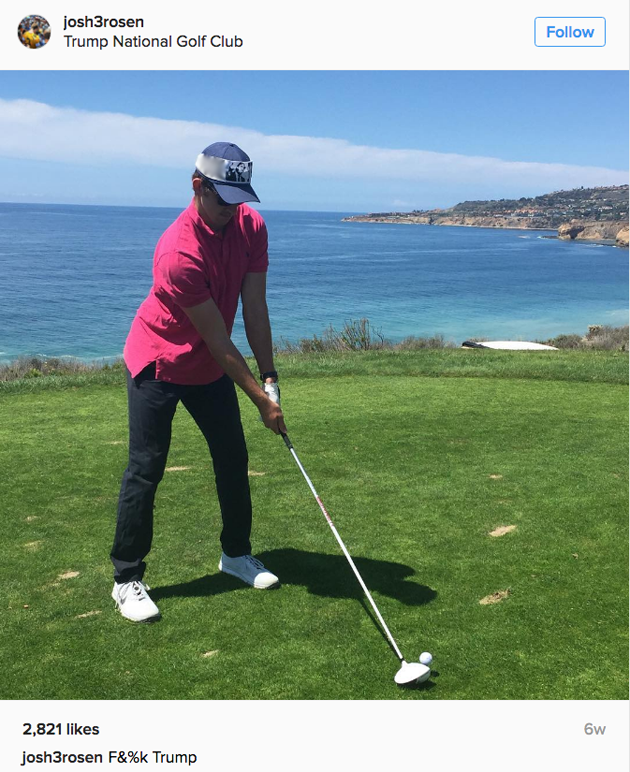 Appearing on The Rich Eisen Show Monday, Mora said that he had a conversation with Josh Rosen about heading down the path of Johnny Manziel following his round of golf at Trump National in which he wore a “F--- Trump” hat. Rosen wore the hat back in April, which caused quite the stir. We’ve edited the photo for language. The rising sophomore is no stranger to mimi-dramas like this one; he was forced to remove a hot tub from his dorm room back in October.